Just today I learned that my flash fiction “Aunt Zelia’s Untested Wild Cherry Love Potion” earned honorable mention in the Fall 2018 Women on Writing Quarterly Flash Fiction Contest! In this tale of “love gone wrong-maybe gone right-with a little magic” I tried my best to infuse the language with highly sensuous details. It helps that the story includes cherries, my favorite fruit. When you want to enhance your own writing with lush details from all five senses, try to include references to things that already inspire you. And when you need to add emotional tension, draw from circumstances that stir up your own angst. It’s easy for me to write about young love because I remember those times so vividly and it’s cathartic (at least now!) to return to that highly charged state of passion and bewilderment. It’s a little early for fruit, but my fledgling cherry trees are getting ready to unfurl new leaves, which hopefully bodes well for this year’s crop. As they fortify themselves, I’ve been planning an exciting lineup of new workshops this spring and summer. With offerings from poetry to flash essays, I’m hoping you’ll find something to stoke your own imagination. Each workshop is designed to help you cull sensory details from your own lives. Friday, March 15 from 9:30 a.m. – 12:30 p.m. – Jumpstart Your Poetic Imagination at The Joyful Jewel in downtown Pittsboro, N.C. You can find inspiration for poetry everywhere—from the news to artwork to your daily life and memory. We’ll study sample poems and then participate in fun exercises meant to spark your own imagination. Not only will you end up with three new poems of your own, you’ll leave with an inventory of ideas for future works. You may even pen a poem inspired by the stimulating art work on display in The Joyful Jewel and participate in the Visions and Voices Reading on April 14! To register, call The Joyful Jewel, 833-2775, 10:30am-5:30pm Monday through Saturday or Sunday 12pm-4pm. Cost: $50. Saturday, April 13 from 9.a.m – 3 p.m. – Flash Fiction Bootcamp II. Think you don’t have time to write? Anybody has time for flash fiction, and by the end of this workshop, you’ll have five finished stories. (This workshop is a continuation of the popular Flash Fiction Bootcamp I) but is open to new as well as returning students and features entirely new prompts and readings. Atten-hut! Central Carolina Community College Creative Writing Program in Pittsboro, N.C. Register here. or by calling (919) 545-8044. Cost $50. Friday, July 12 from 9:30 a.m. – 12:30 p.m. – Flash Fiction Bootcamp I. The Joyful Jewel in downtown Pittsboro, N.C. Think you don’t have time to write? Anybody has time for flash fiction, and by the end of this abbreviated workshop, you’ll have at least two finished stories. Bring your favorite writing gear (notebook and pen/pencil or laptop) and get ready for new prompts, new inspiration, and instant feedback. Atten-hut! To register, call The Joyful Jewel, 833-2775, 10:30am-5:30pm Monday through Saturday or Sunday 12pm-4pm. Cost: $50. Friday, July 26 from 9:30 a.m. – 12:30 p.m. – Flash Creative Nonfiction and Essay. The Joyful Jewel in downtown Pittsboro, N.C. Interested in turning your life experiences into flash memoirs or short essays? Explore this exciting new creative form that brings your experiences to life in a variety of dynamic formats. By the end of this workshop, you’ll have two finished short essays. To register, call The Joyful Jewel, 833-2775, 10:30am-5:30pm Monday through Saturday or Sunday 12pm-4pm. Cost: $50. Keep checking my events page as I add to this list throughout the season with even more workshops. In the meantime, surround yourself with the things that inspire you the most. Life is short so go ahead and pluck that cherry off the top of your sundae! 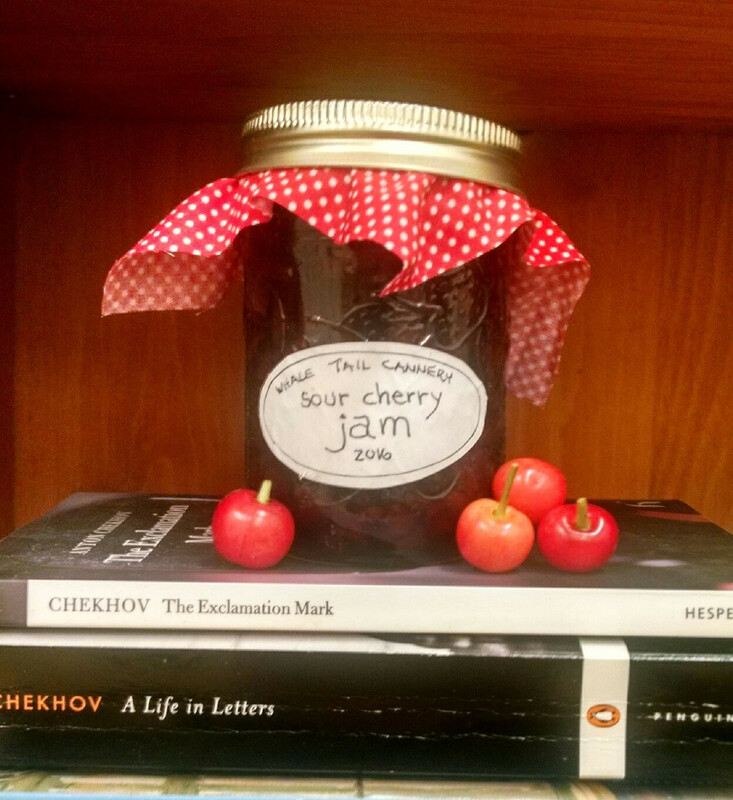 This entry was posted in Uncategorized and tagged amwriting, Central Carolina Community College Creative Writing Program, cherries, essay, flash fiction, imagination, memoir, poetry, short story, the joyful jewel, trees, women on writing, workshop, writing community, writing tip on February 5, 2019 by Ashley Memory.